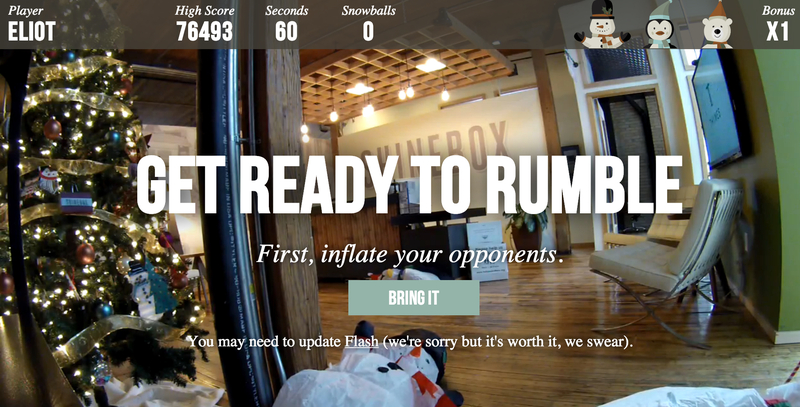 In what has to be one of the coolest and most fun uses of SmartThings we’ve seen to date, the creative team at The Shinebox (led by Kickstarter backer David McCrindle) has built an interactive SmartThings-powered game that lets you hurl virtual snowballs at inflatable toys. Ladies and gentlemen, we present the Shinebox Snowball Fight. For a much more detailed look at how this project came together (and to see how the actual devices used ended up changing from those in the above picture), check out this behind-the-scenes blog post from The Shinebox team. Good luck, and now let’s take down some inflatables!